In 1983, two nationally recognized leaders in the fields of music and research technology—The Peabody Conservatory and The Johns Hopkins University—combined skills and resources to provide what is considered the finest training program of its type available in the United States. Now the program has entered the digital age, and is still the most comprehensive program of its kind in the world. Explore the focuses of study and learn the differences between Computer Music, Music for New Media, and Recording Arts & Sciences. Computer Music A Music Composition degree at its foundation that explores the use of software and hardware technology as creative and interactive tools in the composer’s studio and in live performance. Music for New Media Composition and sound design for visual media with a particular focus on virtual reality. Students learn to work as a member of a design team on to a project led by a director responsible for its overall creative vision. Recording Arts & Sciences Students with an affinity for and strong foundation in math and science explore the intersection of those areas with audio engineering through music recording and acoustics. Based on the traditional concept of “Tonmeister” training, students follow a full curriculum of conservatory studies in music along with math, science and engineering at Hopkins’ Whiting School of Engineering and audio engineering and acoustics at Peabody. The Bachelor of Music in Recording Arts and Sciences, a unique double-degree program, is known as the American counterpart to the European Tonmeister training program. The Peabody/Hopkins degree combines the courses and performance requirements of Peabody’s Bachelor of Music Program along with special courses in the Recording Arts and Sciences. The relevant electrical engineering, math, science, and computer courses are taken at the Whiting School of Engineering of The Johns Hopkins University. Students in the Recording Arts and Sciences degree program receive extensive practical experience through an internal work-study program – which compensates students as staff engineers in our professional recording studios, responsible for engineering over 1000 live recordings and studio sessions each year – and an external internship taken after the third year. Students have earned their internship credits at recording studios, video game production companies, National Public Radio. acoustical consulting firms, audiovisual engineering design firms, and summer music festivals such as Tanglewood and Brevard. Since the inception of the program, graduates have obtained a wide variety of positions with the audio industry, including recording studios (Village Recorders in LA, 25th Street Recording in Oakland, Avatar Studios in NY, and more), broadcasting companies (National Public Radio, Public Radio International, Minnesota and Texas Public Radio, NBC, and more), video game developers (Firaxis, Big Huge Games, and more), loudspeaker and headphone manufacturing (Bose, Google, Polk Audio, Definitive Technology, and more), audiovisual design companies (Pershing Technologies, Convergent Technologies Design Group, C.M. Salter Associates, and more) and with universities and colleges that are either introducing or upgrading recording programs The rigorous and comprehensive nature of the Peabody/Hopkins Bachelor of Music in Recording Arts and Sciences has made it a prestigious credential for the job market. In 1998, the Master of Arts degree in Audio Sciences ushered in a new era in audio education. The program was developed in conjunction with members of the professional audio community to provide the technical knowledge and musical skills necessary to work at an advanced level in the field of audio/video and/or acoustics. The program is intended both for current audio professionals wishing to obtain a post-baccalaureate credential and individuals with a background in science, technology, and/or music seeking additional training in order to gain employment in the audio industry. 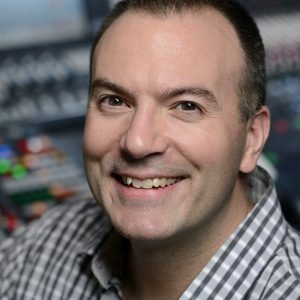 Scott Metcalfe is an audio engineer and music technologist based in Baltimore, where he is director of Recording Arts and Sciences at the Peabody Institute, program coordinator for the Sound Concentration of Hopkins’ Advanced Academic Programs MA degree in Film and Media, and associate director of The Sound Sleep Studio. Geoff Knorr is a graduate of the Recording Arts program ('08), with degrees in composition as well ('07 BM, '08 MM). 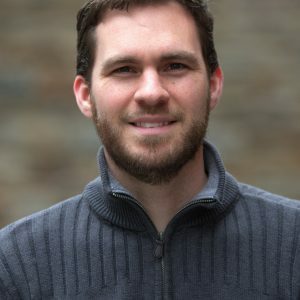 Since graduating he has been active in the video game industry, recently working as a composer, orchestrator, and sound designer for Firaxis Games in Sparks, MD. A. T. Michael MacDonald has recorded, mastered, and produced over 1,000 commercially released music recordings for such labels as Atlantic, Blue Note, Chesky, Columbia, Concord, EMI, Enja, JVC, Nonesuch, Palmetto, Rounder, Telarc, Verve, and Warner, including two Grammy winners. 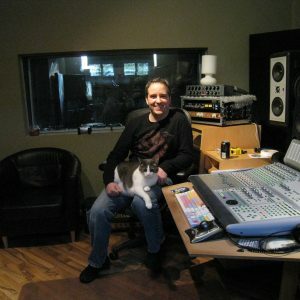 Drew Mazurek is an experienced recording engineer/mixer with over 20 years in the music industry, and has owned and operated his own studio since 1988. Mazurek has spent many years as a freelance engineer working in studios around the world. 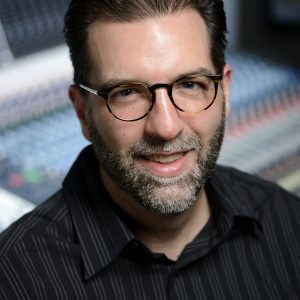 Ed Tetreault is currently the manager of the Recording Arts & Sciences department of the Peabody Conservatory of the Johns Hopkins University, and has extensive experience in the field of audio recording.